Thin Film - Revtek, Inc. In the fast paced world of thin film and nanotechnology, a year is a lifetime and track records are too often missing from the production line. Where then does the company find the combination of up- to-the minute technology and proven expertise so crucial to innovative high reliability device performance? 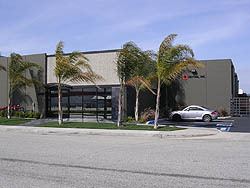 At Revtek, Inc. Since 1989, Revtek, Inc. has specialized in the design and manufacture of high performance thin film active and passive devices, sensors, packages and thin film deposition services, for both commercial and military use. Revtek company founders and technical directors, Garo Tanielian and Dr. Aram Tanielian bring 56 years of experience in the field of thin film science to their work- experience in thin film deposition, high frequency power thin film active and passive devices, sensors, and MEM services.